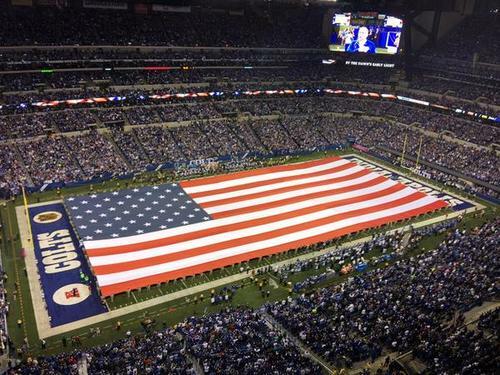 Game updates and analysis from Indianapolis as the New England Patriots take on the Indianapolis Colts. Dungy takes the Colts. Have at it. Brady leads Pats onto field to big boos. Patriots in road white uniforms for first time since Super Bowl. Tony Corrente assigned to referee tonight's game. 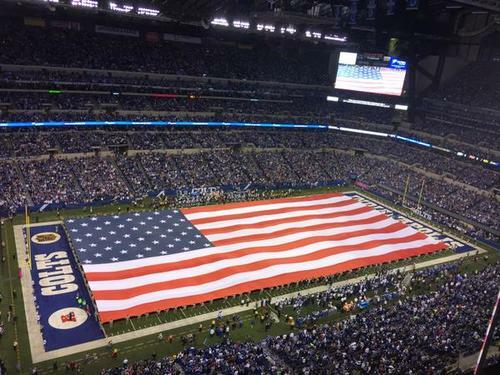 In my eyes, this game is everything for the Colts. Win, and they're for real. Lose, and they're a mediocre team in a bad division. A coin will be flipped. Soon. Patriots call heads. Coin comes up heads. Patriots defer choice to second half. Colts will receive to open the game. Game pants award winner Matt Slater won the coin toss by calling heads. The Pats shockingly deferred. Frank Sinatra Jr. just delivered the ring-a-ding-dingiest National Anthem you'll ever hear. Brady in the lead QB seat, head down, sitting next to McDaniels. Andrew Luck back on an NFL field for the first time in 21 days. Freeny getting a start at LB next to Collins. I just laughed out loud. Walen tackled at the 11-yard line. Butler and Hilton had to be separated after the first play. Hilton and Butler are REALLY woofing at each other here at the start. First two snaps on defense, CB Malcolm Butler following T.Y. Hilton across the formation. Looks like his matchup tonight. Freeny starts over Mayo. The knee isn't 100 percent. Colts have come out in 2-TE package and Patriots matching in 4-2-5 nickel (3 safeties), with Jonathan Freeny 2nd LB over Jerod Mayo. Andrew Luck's release looks a little awkward, but he hasn't missed one yet. Short passing game in full effect right now. A new day? Freeny got picked on that third-down conversion. Check out the bootleg/rollout, i.e. Hasselbeck in Houston. Really nice drive out of the gate here for Indy. Ahmad Bradshaw in on the first series. Colts looked fired up. Good play calls. Great execution.